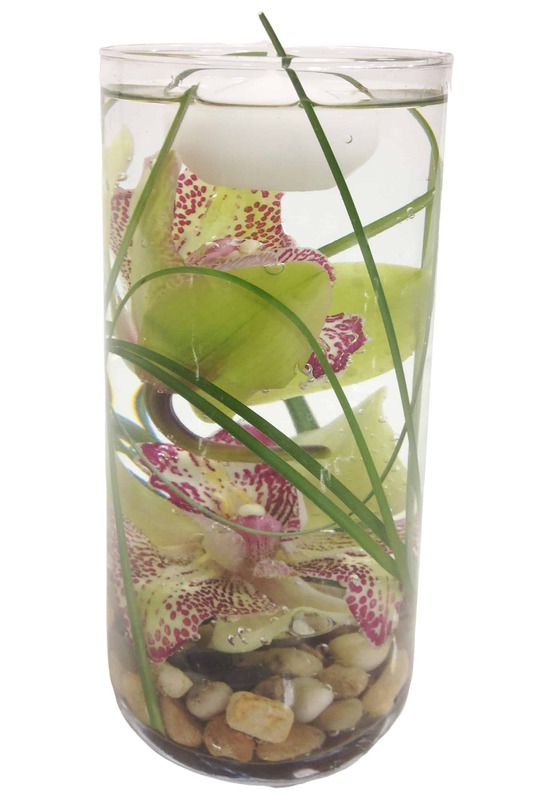 A slight twist on our already popular Vodka Cymbidium, this arrangement adds a candle and some black stones for some added depth, illumination and color. A unique design that lasts! This piece comes in a 6" cylinder vase.